Globus Italian Treasures - Fugazi Travel Agency Inc. 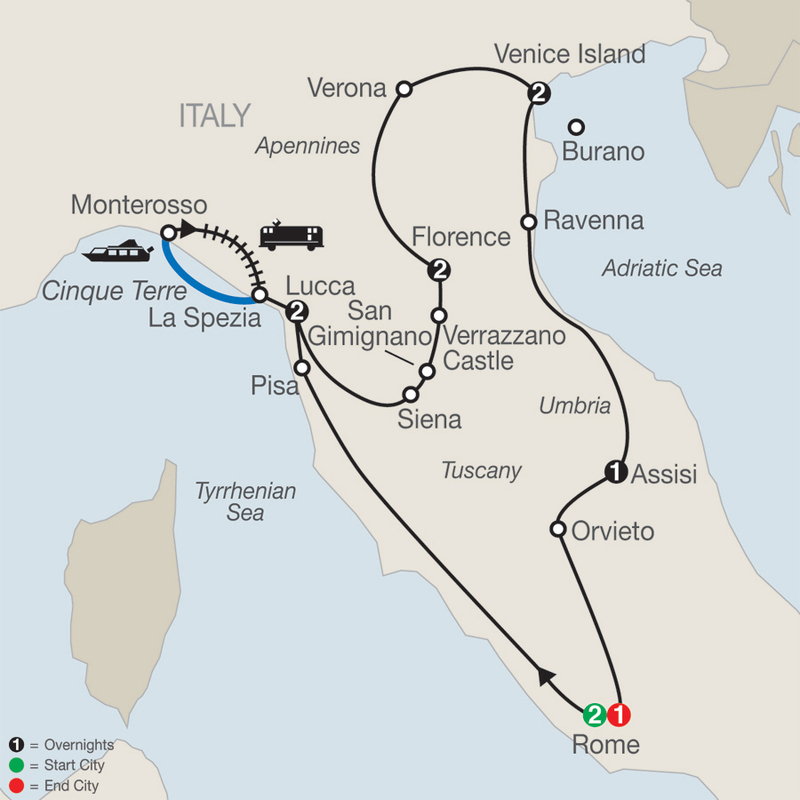 This vacation does not just include highlight cities like Rome, Florence, and Venice, but also includes overnight stays in Lucca, and in St. Francis’ Assisi. All major sights have been included, such as St. Peter’s, the Sistine Chapel, and the Colosseum in Rome, Michelangelo’s David in Florence, St. Mark’s, and the Doges’ Palace with the Bridge of Sighs in Venice - which you enter by private boat, and St. Francis’ Basilica and St. Clare’s Church in Assisi. Transfers for sea/ocean cruises may be available from your hotel to the port on the last day of your vacation. For more information and pricing, please contact your Travel Consultant. *Subject to change and availability.